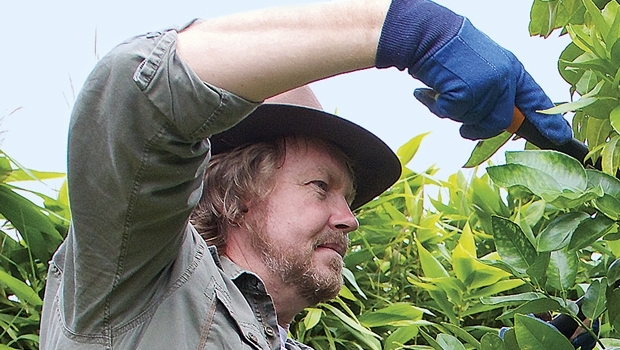 Phil Dudman (pictured above) is undoubtedly one our region's best known horticultural journalists. Phil's 2013 article from 'ABC Organic Gardener' (see here for article) addresses the subject of pruning citrus. Phil gives some really, really good advice that is relevant for the Coffs Coast and is well worth reading. At our last meeting a member asked about pruning citrus and mentioned that there is conflicting advice on whether to prune or not to prune..... Phil basically says it's fine NOT to prune however it is perfectly fine to prune too and gives good advice on how to prune citrus - from young trees to what looks like a hopeless case. If you need information on any of the above please visit this link for Phil's article.